Scott's offers a controlled release fertilizer. 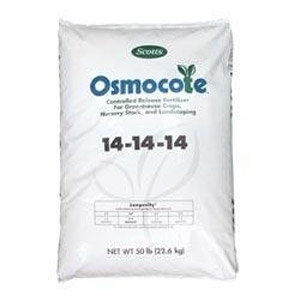 Apply it and be comfortable, fertilization is taken care of for the season. Composed of water soluble nutrients. Granular formula is coated with a film of plastic resin. 50 lb. bags. 3-4 months for Annuals, perennial, short term crops. ; 5-6 month for perennials, short growing areas; 8-9 month for extended southern seasons.